TEHRAN (FNA)- Chairman of the Iranian Parliament’s National Security and Foreign Policy Commission Alaeddin Boroujerdi reiterated that Tehran will not compromise its nuclear rights, and underlined that recognition of the Iranian nation’s nuclear rights by the Group 5+1 (the five permanent UN Security Council members plus Germany) is the first confidence-building step needed for future agreements. « The recognition of the Islamic Republic of Iran’s right to acquire peaceful nuclear energy forms the basis for any agreement with the P5+1, » the Iranian parliamentarian said in a meeting with French senators Joelle Garriaud-Maylam and Jean-Yves Leconte in Tehran on Wednesday. The two French senators left Paris for Tehran in early hours of Wednesday to confer with senior officials here on ways of bolstering mutual cooperation between the two countries. 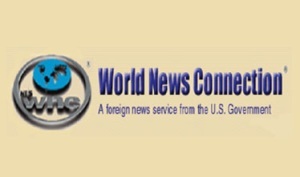 Iran and the six world powers agreed in their third session of talks on October 15 to follow up on the nuclear negotiations on November 7 and 8. At the end of the negotiations, EU Foreign Policy Chief Catherine Ashton hailed the nuclear negotiations as the « most detailed » and most « substantive » ones ever held between the two sides. Tehran has repeatedly said that it considers its nuclear case closed as it has come clean of the International Atomic Energy Agency (IAEA)’s questions and suspicions about its past nuclear activities.